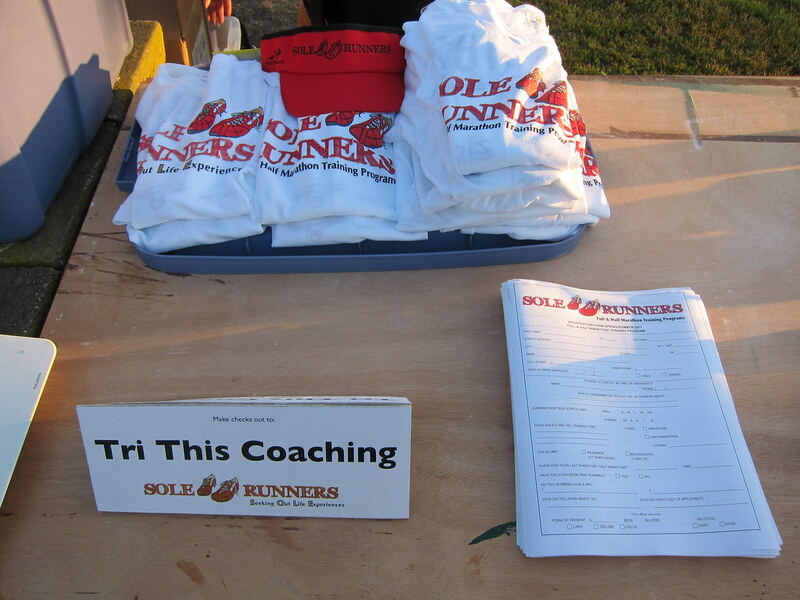 Along with the other Sole Runners mentors, the Green Girl helped out with the Sole Runners Pre-Season registration this morning. I enjoyed welcoming the new members and seeing familiar faces return. A lot of the runners take the winter session off and then return each summer. 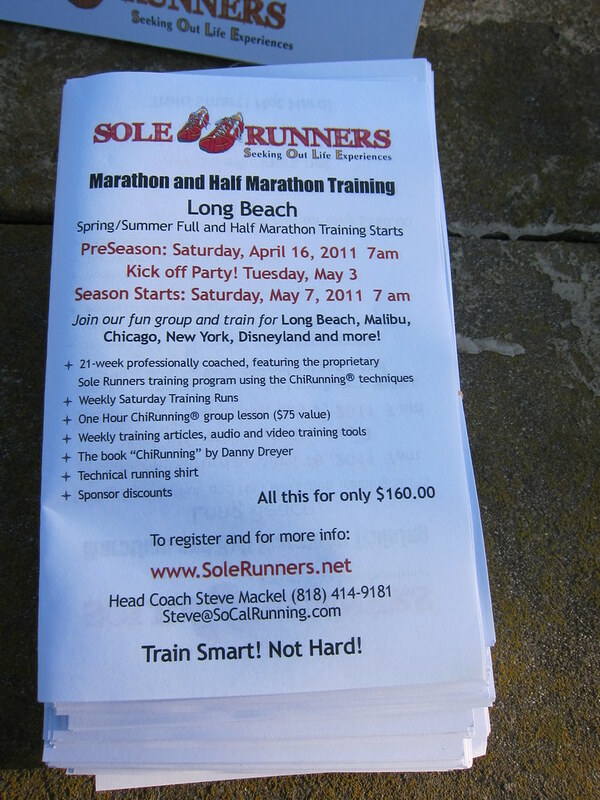 The $160 Sole Runners registration includes a 3-week pre-season, a 21-week professionally coached training program, multiple one hour group ChiRunning lessons, mentor-led weekday runs, a Sole Runners technical training shirt, a copy of the ChiRunning book by Danny Dreyer, weekly training articles, and sponsor discounts. There is also a discount for early birds and alumni. Coach Steve opened with an overview of the program. 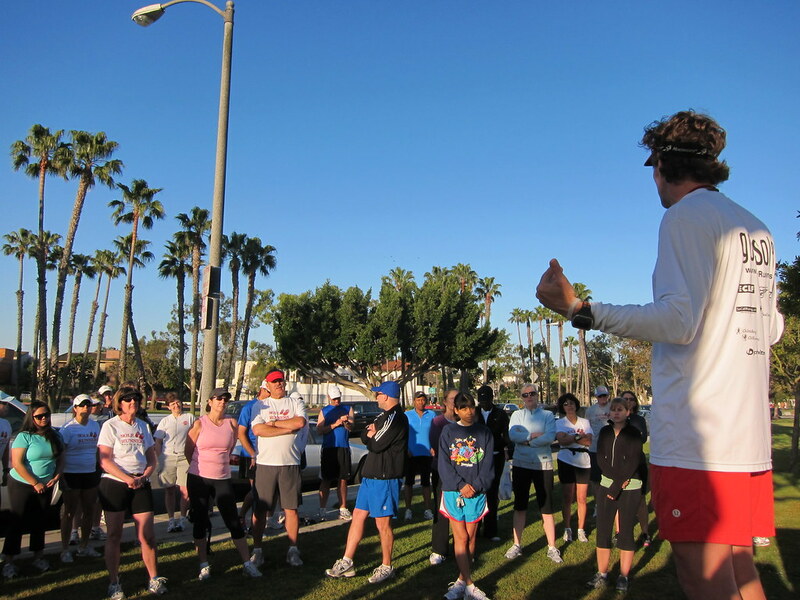 He also shared some basic running tips and tricks. 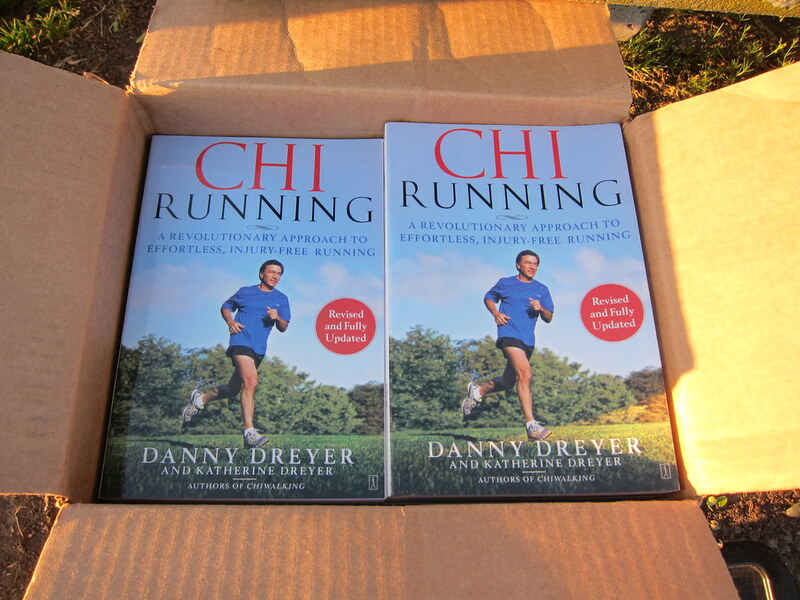 Before he began the ChiRunning lesson, he explained the philosophy behind Danny Dryer's method. After the introduction, he led everyone out onto the grassy field. He started off with the ChiRunning pose. People were paired up with partners and the mentors walked around to assist. Once everyone was relatively comfortable with the concept of the pose, Coach Steve had everyone do an exercise where they leaned forward while their partner supported their weight. He demonstrated how this 'lean' would allow gravity to pull them forward once their partner moved out of the way. Towards the end of the lesson, Coach Steve showed them how to incorporate everything they had learned into a slow, controlled run. 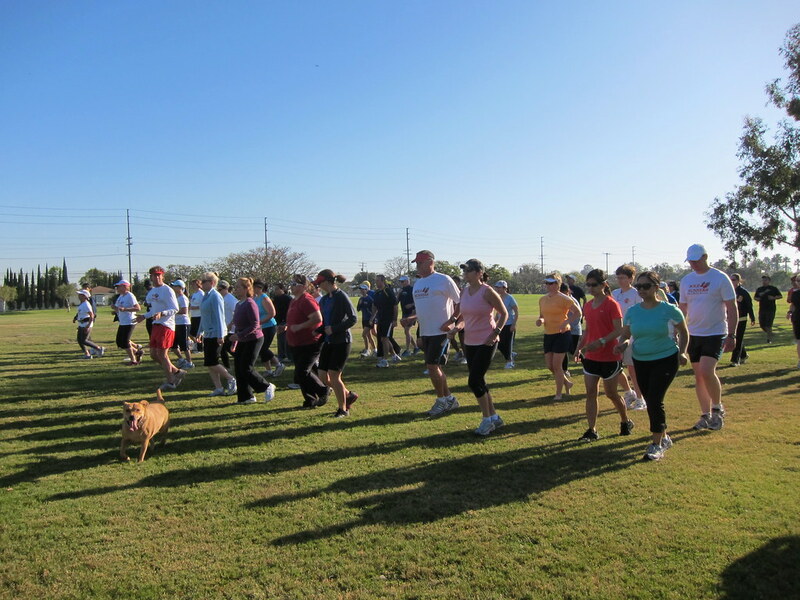 Following the ChiRunning lesson, we all went out for a short half hour run in the warm late morning sun. Looks like a great day and great weather for it! Sounds like a great morning. I have got to get that book!! Looks like you had some fun! !